Here you will find works in progress and art doors in the concept phase. These designs are meant to be a springboard for ideas and provide an example of what can be accomplished with a custom designed private commission. Floating end grain panels created all from the same wood or different woods. 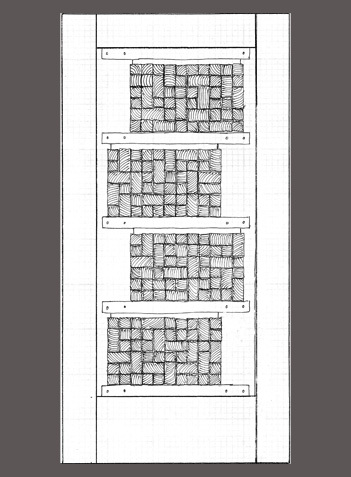 Small artwork may be inserted in place of one or more end grain blocks. 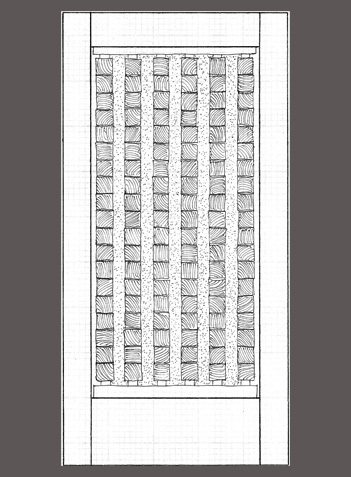 End grain columns float within vertical art glass sections. The client may select from a wide variety of art glass colors and patterns. Square and rectangle end grain blocks fade together in the middle. The rectangle blocks, showing as white in this image, are actually end grain as well. Artwork may be inserted anywhere within this pattern. 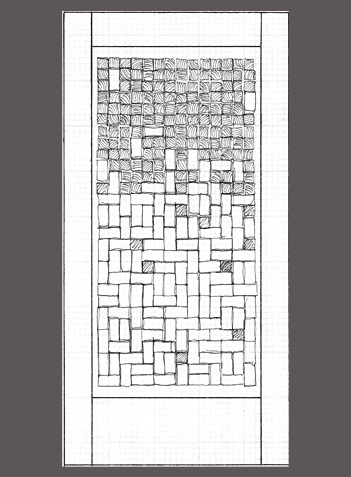 This rendering shows end grain blocks which undulate in varying depths randomly. A ceramic art panel has been included. Any artwork may take the place of the shown inclusion. 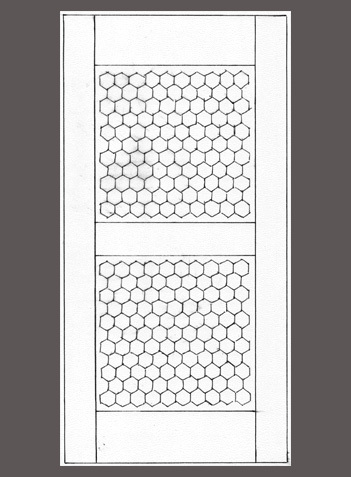 Hexagon cut end grain pattern reminiscent of a beehive. This design was translated into an artistic commentary in collaboration with Bay Area artist Ben Belknap. 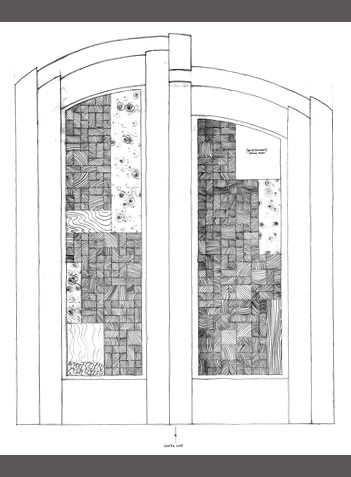 ArtStruct commissioned Belknap to create a series of his signature ceramic heads to be placed strategically within the design of the door so that they would "relate" to each other. 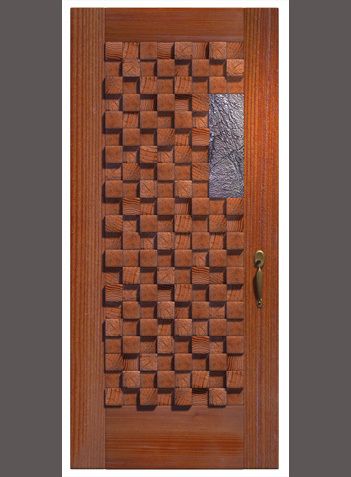 This design shows an option for a double door set.